Since we were quite impressed by Battlelore's latest release "The Last Alliance" we wanted to know more about this latest release. We wired some questions for the band and were lucky to find Maria (flute, keyboards) to send us back the answers. We concentrated on the change in direction the band is taking and wanted to find out more about the cooperation with super producer Dan Swano. "Working with Dan was sure a winning combination. 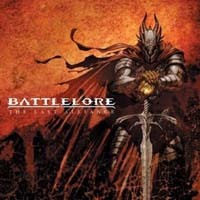 For the first time the band had the impression that Battlelore sounded like the always wanted to", Maria told us. It looks like the band is now ready for the next big step forwards. Anyway, here is what Maria told us. I honestly don’t know. Maybe it’s because there isn’t that much to do during the long, cold and dark winters, so we’ll just stay indoors and play some music, hehehe... I do believe that we have high standards and high quality teaching in music schools, if one would want to study classical music or instruments, but most of the musicians here within the metal genre are self-taught. I don’t believe in forcing music on anyone, the will to learn has to come from the person himself – otherwise it’s all in vain. I guess that people here just love music and are hardworking and ambitious, wanting to evolve and get better. I think that the passion and the will to make music drive us forward. What Scandinavian bands you especially like? Oh, there are so many... Edge of Sanity is one of my all-time favourites, Tenhi are brilliant musicians, Emperor and Burzum from the golden years far back, Thyrfing, Amorphis, Enslaved, Dawn, Katatonia, Helheim, Opeth, Green Carnation... So many. Here are just a few, heheh. You worked with Dan Swano, who is famous for his work with Opeth, one of my favourite bands. Opeth happens to be a huge influence for my all time musical hero "Steven Wilson" from "Porcupine Tree". What do you think of their music? Do you think it would be a good idea to work together with him on one of the next releases? Opeth is a great band, they have always done great albums. Working with Dan was absolutely wonderful. He’s a great, relaxed and a nice guy, who takes his work very seriously. He realized right away, what kind of a sound we wanted and for the first time I feel that Battlelore sounds like it always should’ve sounded. We are really pleased with the end result and will certainly work with Dan also in the future! This new album tends to receive good reviews. Do you read reviews? Do they influence the music? Some artists call music journalists frustrated musicians. What is your opinion on that? Heheh, it was a bit of a surprise that most of the reviews have been so positive – our music tends to divide people quite a lot. We read reviews, but it doesn’t change how we make music. We don’t care what the reviewers say or suggest – we make music from our hearts and if someone likes it, that’s great. If doesn’t – well, it happens. People are allowed to have their own opinions and feelings about music, it’s a very subjective art form. Music raises a lot of feelings – it’s very intense and people are usually extremely passionate about their favourite music or the music they hate. It’s hard to review something when it’s not possible to make anyone hear things the same way you do. I do respect the good reviewers, who are able to review music objectively and describe the music instead of just telling the band to f*** off because of how they look or something like that. I don’t think reviewers are frustrated musicians, hehehe, not even the bad ones... Although sometimes the comments are “I could do this better” – well, why don’t you then, heheh. Since you like to sing about epic stories and are interested in fantasy novels, did you ever play with the idea to write a fantasy novel yourself? Jyri does enjoy reading fantasy novels and writing lyrics, but he hasn’t wanted to write a book himself. Most of the band reads a lot of books (not just fantasy), but I guess none of us are that good at writing that we’d want to write a book, heheh. Perhaps a book about the band some day? I don’t know if anyone else would want to read it besides us though. I really like the clean voice on the new album. Did the songs ask for this or was this a logic step in the direction the band is going? Well, on the first two albums Patrik sang some clean vocals, and Tomi has been singing those during our live shows. For the third album Tomi didn’t make any clean vocal parts, since the songs were quite ready when he joined the band and the studio was approaching really soon. For Evernight, the fourth album, we played with the idea to add clean vocals again, but we ran out of time in the studio. So this time around, for The Last Alliance, Tomi planned the clean vocal parts already while we made demos and skeletons for the new songs, and we loved what he did! We told him that he had to sing in the studio as well – he had brilliant ideas and it did bring a whole new dimension to our music again. In a way it was the next logical step for us, since we’ve all evolved as musicians and Tomi as a singer/growler. A good step, in my opinion. Do you also like completely not metal orientated music? And if so, please name some. Well, Tenhi is in a way a band that has nothing to do with metal anymore, it’s progressive folk music. I saw a band called Sieben on a gig with Tenhi – that is practically a guy with a violin creating everything, and he was brilliant also. I have a classical music background (I studied playing flute for 11 years in music school), so I enjoy some bits of classical music as well. Dvôrak, Sibelius and Grieg are some of my favourites there. This is the hardest question ever!!! I listen to a lot of music, and I have a lot of favourite bands and albums – I don’t see how I could list everything I like or even limit it to the top 10 – I don’t know how to pick the top 10 from all the great albums there are! I’ll try...These are not in any kind of an order. All these albums are my favourites and I’ve come across them during the years accidentally or when I’ve been hanging out with friends and they’ve recommended the bands and albums. -	Edge of Sanity – Purgatory Afterglow, (Crimson I and II). Especially Purgatory Afterglow is one of the best albums I ever owned. It was one of the first metal albums I bought and I still love it. It just never gets old. Great melodic death metal from Sweden. Dan Swanö is the best growler I know! -	The Gathering – Mandylion. Oldies goldies again, this one is also one of my all-time-favourite albums. Anneke sounds amazing and the songs are great. It’s also one of the first metal albums I got – and this album never gets old. I’m not that big a fan of the newer albums with the lighter feel, but this one is just great. -	At the Gates – Slaughter of the Soul. Heard it at rehearsals sometime in the late 90’s and loved it. Melodic death metal, with some great riffs and growling. It has the right kind of attitude. -	Behemoth – Satanica (and all albums). Behemoth is one of the bands that have never let me down – all their albums are great, and I’d recommend them all. 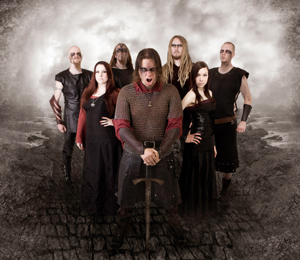 I chose this album as an example, since it has one of my favourite songs – Decade of Therion. They’re called “blackened death metal” or extreme metal, depending on who’s saying it, heheh. Really magnificent riffs and an epic feel to the songs. 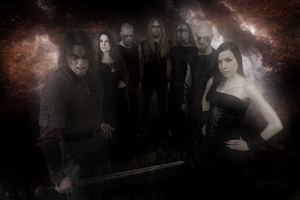 -	Enslaved – Isa (and all albums). I could say the same thing about Enslaved as I did with Behemoth – they’ve never let me down. Their music has changed and developed over the years, but the changes are good. And even though I like the stuff they did in the earlier years, I don’t think they should make the same songs over and over again – it’s good to hear the development. 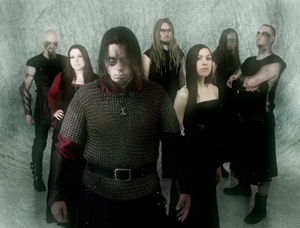 They started out as black metal (musically), but the music is going towards progressive black metal. A great band. -	Nile – Annihilation of the Wicked, In Their Darkened Shrines (and all albums). Now, Nile. They made a huge influence on me when I first heard their songs at a friend’s house sometime in the late 90’s or early 2000. After that I bought all their albums and I have to say, this is some serious stuff. I love all the albums, these two that I mentioned are newer ones and maybe in a way a bit more approachable than the early works. Brilliant musicians, interesting lyrics (ancient Egypt -theme), low growling and a lot of feeling. Death metal at its best! -	System of a Down – Toxicity. This album stands out – I normally listen to a lot of death metal and such, but System of a Down’s Toxicity just drew my attention immediately after I heard their music for the first time. I like the other albums too, but Toxicity has most of the good songs from this band. They’re called alternative metal, since I guess this sort of music is hard to put in any genre... They combine progressive rock/metal, folk, psychedelic rock, thrash metal (and pretty much all the other genres there are) into one crazy band – and they make it sound really good. -	Bolt Thrower – For Victory (and all albums). Again a great death metal band that has been in my collections since the very beginning... A friend lent me their album and I got it for myself soon after – and have almost all the others as well. Old school band with great songwriting. -	Tenhi – all albums (Kauan, Väre, Maaäet for example). Tenhi is a Finnish band that plays progressive folk music. They’re music is beautiful and atmospheric, and they sing in Finnish. Lots of violins, cellos, flutes and also some more exotic instruments. It’s not the sort of “happy” folk music, but has a lot of atmosphere and feeling. You can imagine hanging out at a Finnish summer cottage, looking out into the woods and lakes during the sunset while listening to Tenhi. A very different band compared to the other ones on my list, heheh. -	Anathema – Judgement, A Fine Day to Exit (and more...). Anathema has also been one of my all-time-favourites through the years, and that hasn’t changed. They started out as a combination of doom and death metal, but the music has changed during the years. I remember reading somewhere that their genre nowadays would be atmospheric rock/metal. Judgement and A Fine Day to Exit are a bit newer albums, so they go somewhere between the death/doom metal and atmospheric rock. Great albums all in all, and it was too hard to pick my favourite one. The music (the melodies) is sad, hopeless, even a bit despaired. Very atmospheric and beautiful music. Ahh, I can’t remember! I’m of the generation with cassettes, so I think my first cassette was Guns N’ Roses, “The Spaghetti Incident?”, maybe around 1995 or something like that. My first CD would probably be Enslaved/Emperor split CD “Hordanes Land”, I bought it from a friend in 1997. What is the weirdest place you ever came across because of your music? There are a lot of places we’d never heard of before touring, so we’ve had many good and bad surprises during the years, heheh. We’ve been to beautiful cities or towns in the middle of the mountains in Europe, in destroyed parts or industrial areas of cities with no people in sight (until the show starts and there have been loads of fans), at a rock festival in Spain where we played at 3 in the morning – at the same time with Sepultura, in the official Lord of the Rings Convention surrounded by elves and orcs... There are a lot of weird places (in both good and bad ways) we’ve come across over the years! Mostly the surprises have been positive because of the people and fans – no matter where we are, they are great! Looking forward to seeing you soon somewhere in Belgium. Thanks for the interview! Our next visit to Belgium will be during the Finnish Fire Tour with Korpiklaani, Falchion and Kivimetsän Druidi. We’ll be playing in Vosselaar, Biebob Club, November 29th 2008. See you there!